In this book, the authors present in detail several recent methodologies and algorithms that we have developed during the last fifteen years. The deterministic methods account for uncertainties through empirical safety factors, which implies that the actual uncertainties in materials, geometry and loading are not truly considered. This problem becomes much more complicated when considering biomechanical applications where a number of uncertainties are encountered in the design of prosthesis systems. 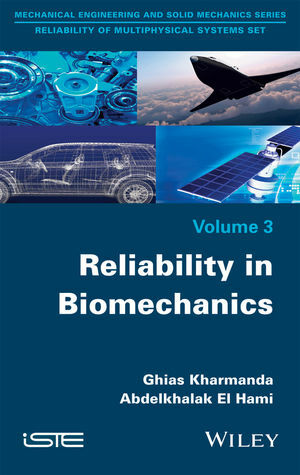 This book implements improved numerical strategies and algorithms that can be applied only in biomechanical studies. Ghias KHARMANDA, Associate Professor (HDR Europ. Dr Eng).